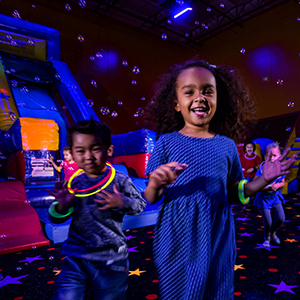 Each child will receive a glow necklace and a guaranteed fun time! A fun favorite for all! 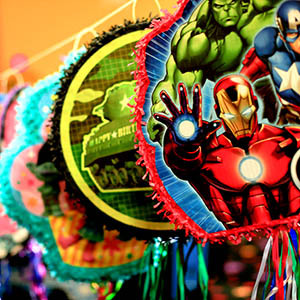 Our pull-string Happy Birthday pinata is filled with two pounds of a mix of candy. Plenty for everyone! Party On Goodie Bag with a FREE Open Play pass included!